Beyonce has urged supporters of Trayvon Martin to be inspired by the protests that followed the death of another black teenager, Emmett Till. She is only one of a number of Americans who have drawn a parallel between the two cases – though others point out there are major differences. So who was Till? After attending an event in New York in memory of teenager Martin, who was shot dead in Florida, the pop singer wrote a message on her website. In the summer of 1955, the 14-year-old Till was far from home when his life ended in a most violent way, apparently for whistling at a white woman. Dragged from his bed at his uncle’s home in a small Mississippi town, he was beaten so badly that his face was unrecognisable when the corpse was recovered from the river three days later. He had been shot in the head and his body tied to a 70lb (32kg) fan. The two men known locally to have carried out the attack were acquitted of murder. The following year, they admitted responsibility in a magazine interview, but said they had done nothing wrong. Till’s mother insisted the coffin remain open so the extent of his injuries could be seen by the thousands of people who paid their respects in Chicago. A weekly magazine, Jet, aimed at African Americans, published gruesome photographs of his beaten face, to show the brutality of the attack. There were rallies across the country at which Till’s mother, Mamie, spoke to crowds numbering 10-20,000 people. Read More BBC News – Who, what, why: Who was Emmett Till?. This entry was posted in News from the Soul Brother and tagged african american, BBC Magazine, Chicago, Emmett Till, Florida, Mississippi, New York, race, Till, Trayvon Martin. Bookmark the permalink. 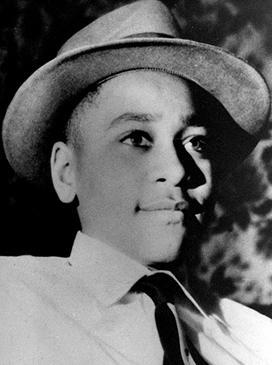 1 Response to Who, what, why: Who was Emmett Till? Good for Beyonce! I love her.